We spent a great week in Missoula that included the Labor Day weekend catching up with family. 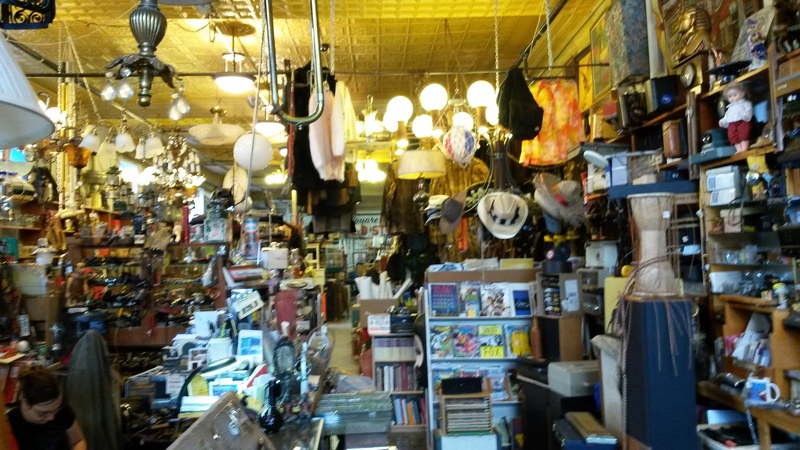 One day while exploring downtown Missoula we came across a second hand store that boasted that it had everything. After we got inside I would agree. We even found used dental picks in the place. I did pick up a fishing rod and lure for a good price. 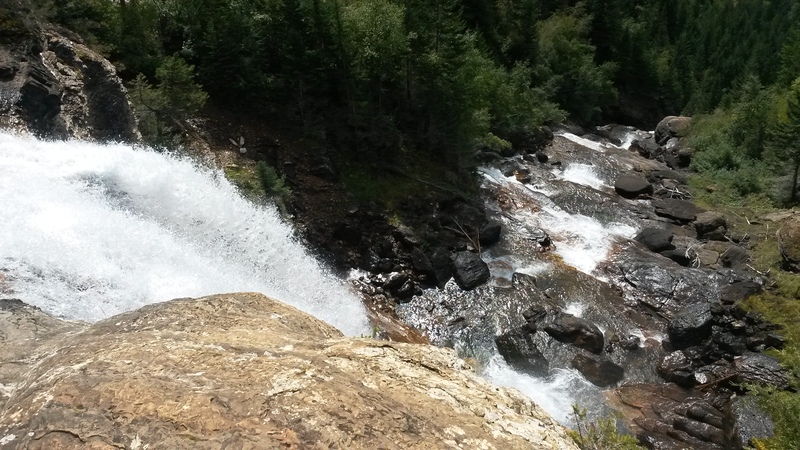 On Labor Day we hiked to a nearby falls. The beauty of the view from the top and the cascading falls almost made up for the near vertical scramble to get up there and back. The only downside of the trip was the place we intended to go afterwards to get some huckleberry shakes had closed by the time we made it down. However, we did pick up a huckleberry pie in a small store outside Glacier on our way into Missoula. For those not familiar with huckleberries, there are related to the blueberry but much better. The pie didn’t last long, which in part drove the huckleberry craving for the shakes. The first snow of the year on the nearby peaks occurred on the Sunday night before Labor Day. 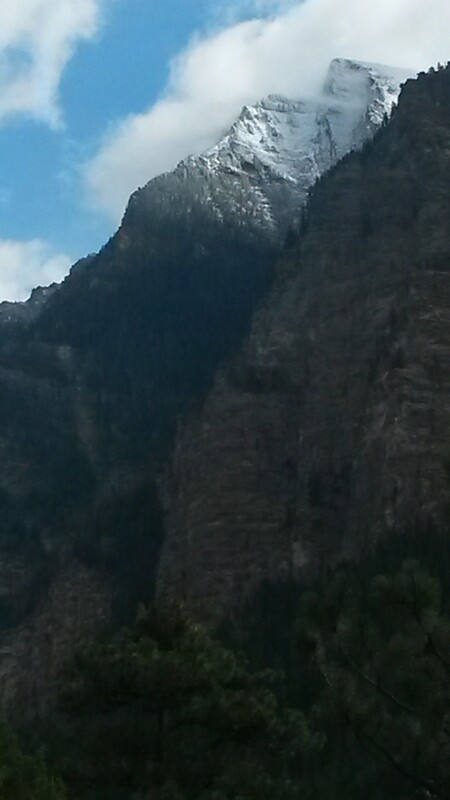 We had a good dusting of snow on the peak of the mountain near where we hiked. We didn’t go that far up, but our nephew and his buddy drove out Sunday night and hiked up one of the local peaks that did get a good accumulation to get the first ski runs down for the year. 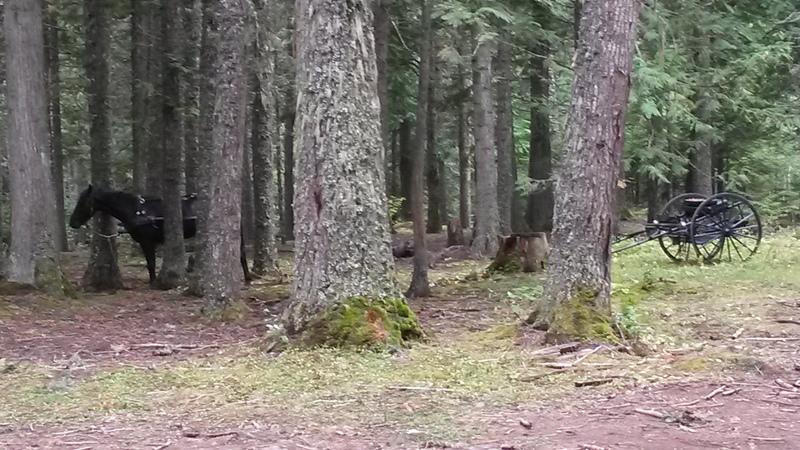 You see a wide range of vehicles at a trailhead parking lot but this was a first – a horse and buggy. The young couple caught up to us on the trail up to the waterfall and were still there enjoying the beautiful vista and afternoon when we headed back down. The dirt road to the trailhead was pretty bumpy. I wonder how smoothly a carriage rides through pot holes? 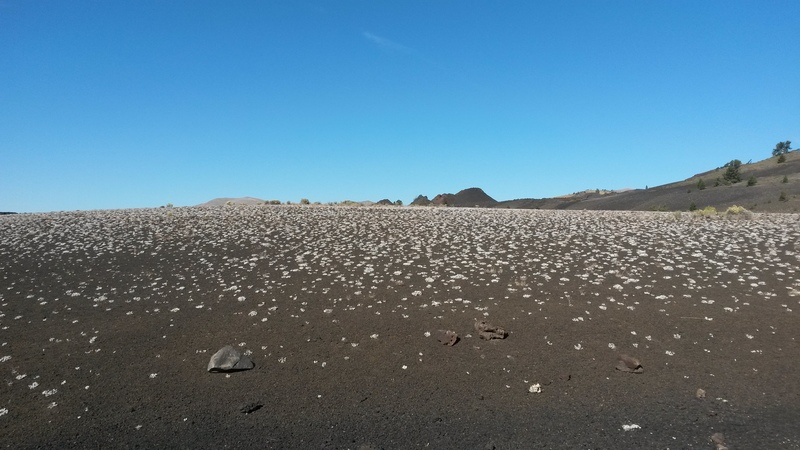 When we left Missoula, we headed south into Idaho, and camped at Craters of the Moon NP. We both like the area very much. It was the first clear skies we had since leaving home, so we reclined in our chairs and watched a million stars appear on a night with a new moon. The next day we explored the areas we missed the previous visit there last year. The lava fields are impressive. The volcanic activity that created this area was only 2,000 years ago, which is not that long ago for such a massive landscape changing event. 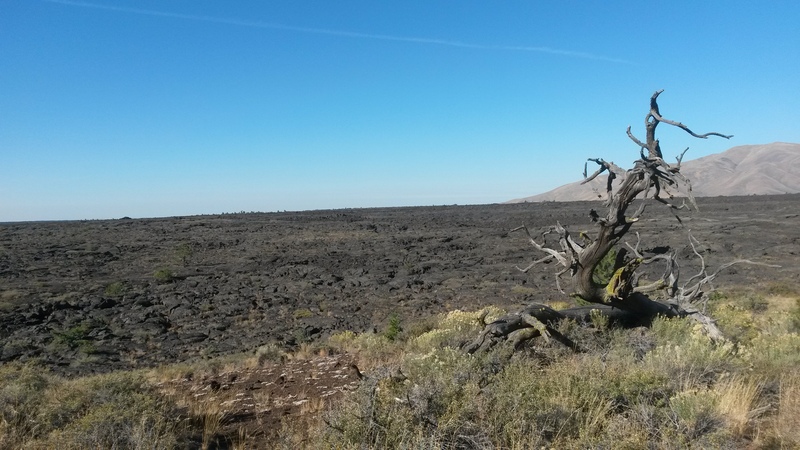 Slowly the vegetation is making headway to break down the lava and transform it into future fields. This is some lichen that has dotted the cinder cone field. We hiked the tunnels and caves this time. 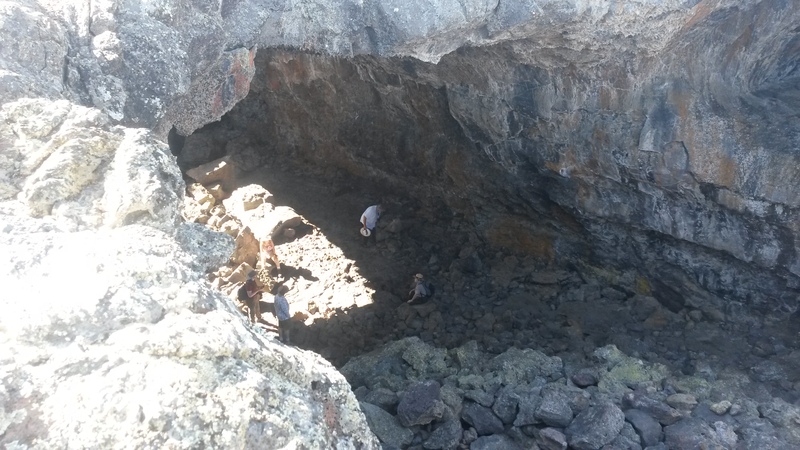 Some of the lava tubes are very large, like this one. We then made our way to Salt Lake City to visit Pam’s brother and his family. 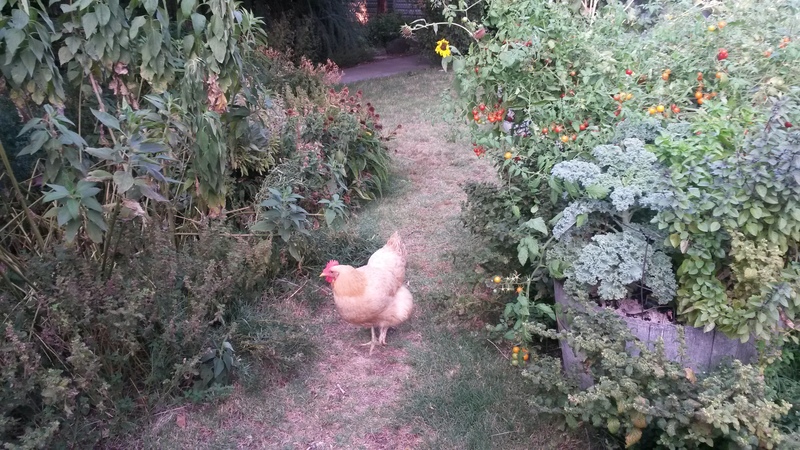 His sole surviving chicken, Matilda, has the run of the yard and garden. However, I think she misses the pecking order. We left Salt Lake City heading east, taking a non-freeway route out of the city up Big Cottonwood Canyon and over the mountain to Heber City. 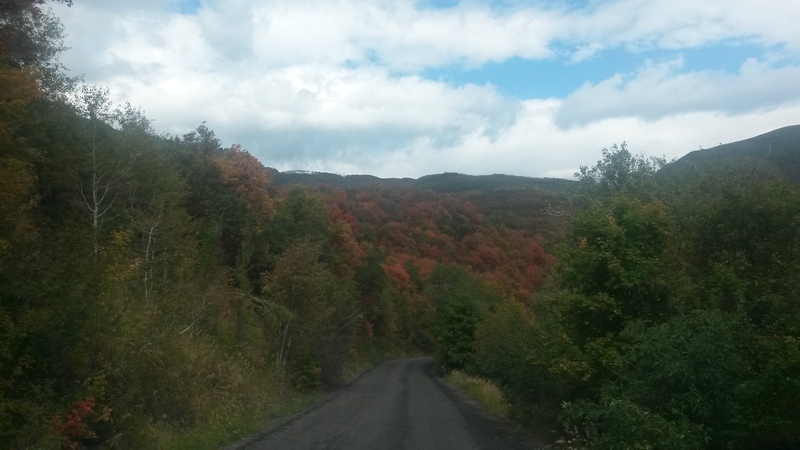 Fall colors are starting to show at 7,000+ feet of altitude. 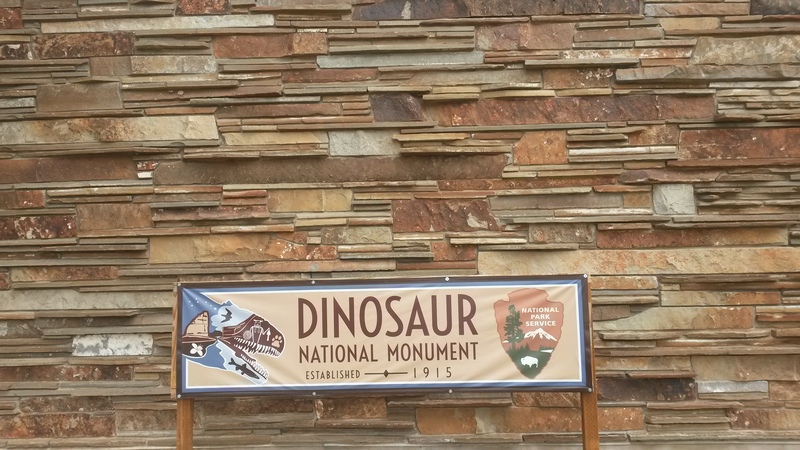 We shot across northern Utah and hit the Dinosaur National Monument. 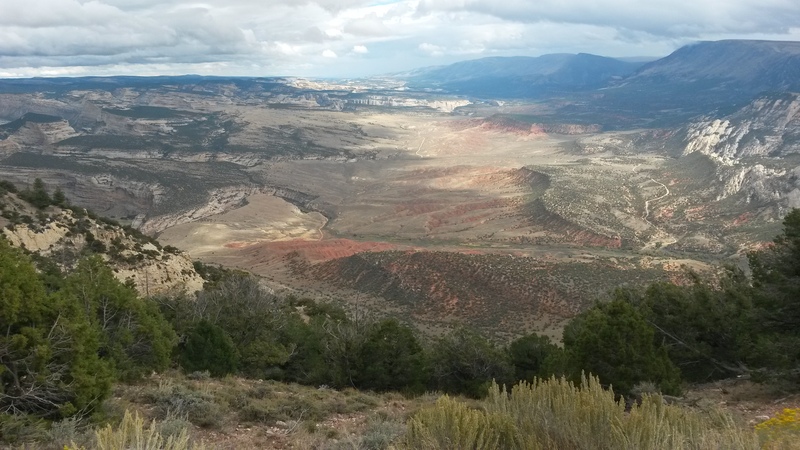 This park spans both Utah and Colorado, but the Utah side has all the bones. They dug up over 100 tons of bones and shipped them all over the world, but mostly to the Carnegie Museum in Pittsburgh. 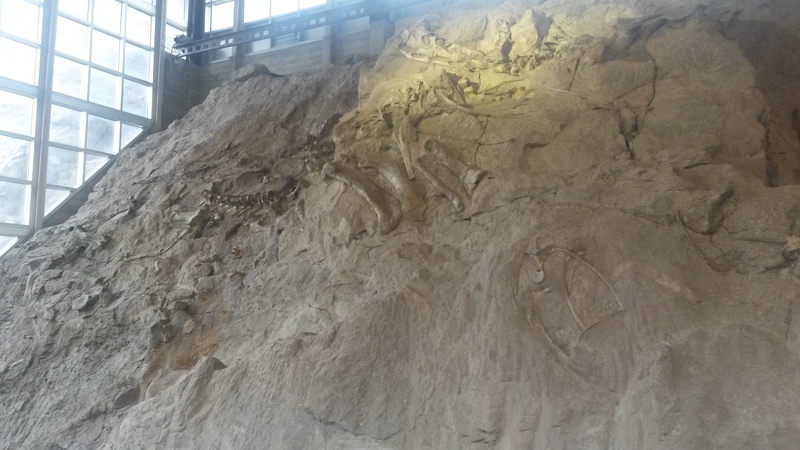 The area where they dug is now preserved with hundreds of bones still in the rock. The ranger told us that the place used to have seven paleontologists on staff when they were digging up bones, but all but one left because they kept digging up the same type of bones. The one left is nearing retirement and as the ranger put it, “there’s nothing worse than an old cranky paleontologist”. We camped at the Green River campground in the park. 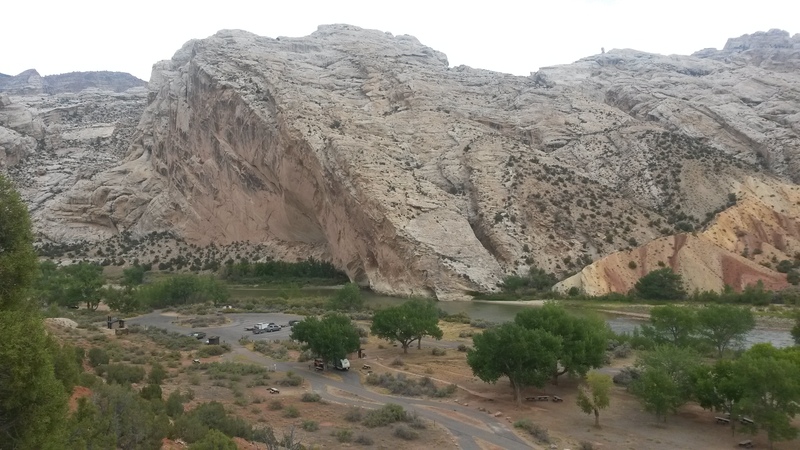 The other campground in the park is where the boat trips coming down the Green River end. It was beautiful there. 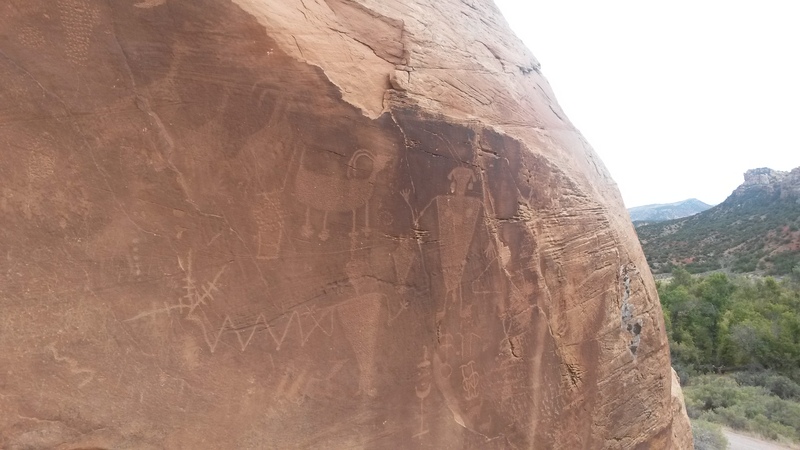 We hiked around a homestead that a single lady had for 40 years into her 90s in a beautiful box canyon, near some incredible petroglyphs. 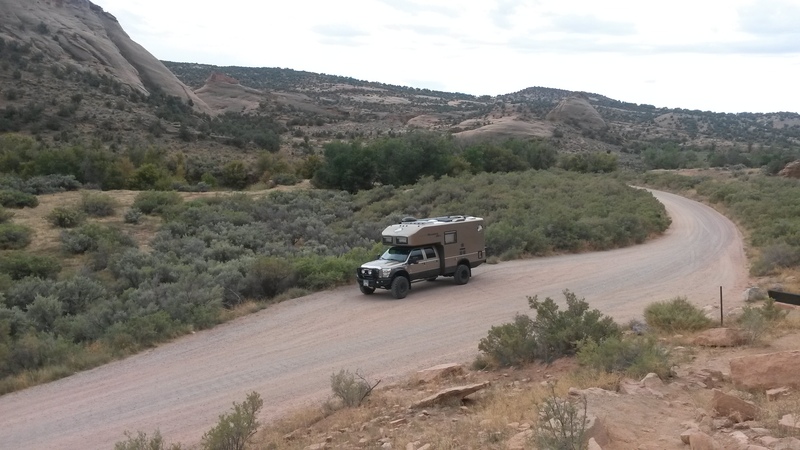 This is the type of landscape this vehicle was made for, open and off road. It was nice to be back in this type of country. 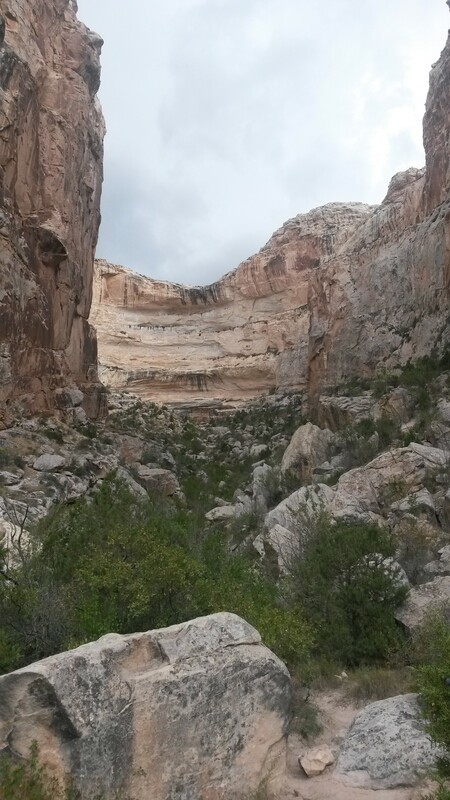 It reminded us of a kid in Jasper that jammed his arm up to his elbow into a limestone hole in the rock, as he said to his Mom, “I wonder what’s in here?” Both Pam and I looked at each other and agreed it was obvious that kid has never been to the desert. We left the Utah part of the park and made our way to the Colorado side. 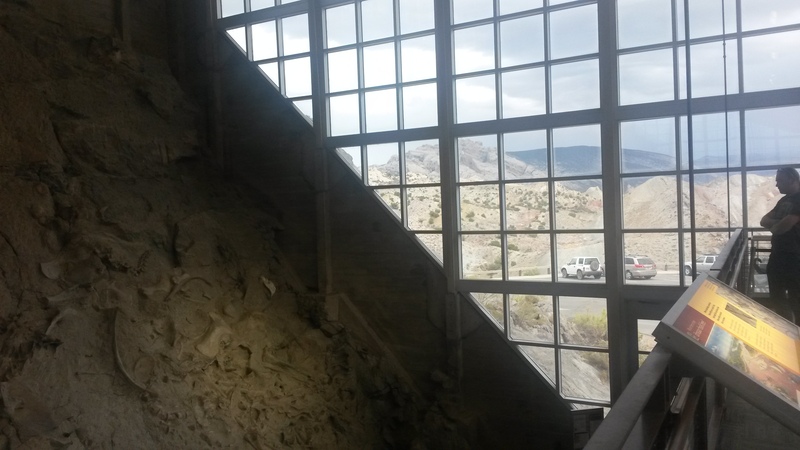 The visitor center on the Colorado side was made of flagstone, with an interesting pattern of side and edge pieces. 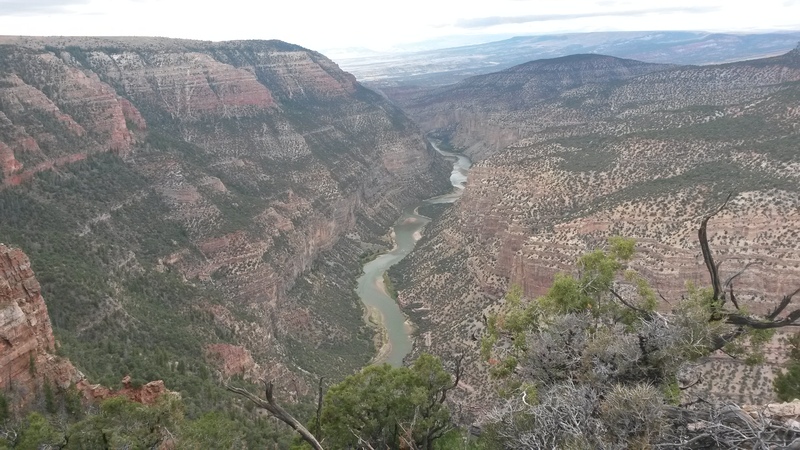 While the Utah side may have the bones, the Colorado side has the Green and Yampa Rivers confluence, and the incredible beauty of this area. A summer storm hung over us during the night and threatened all day with light rain. 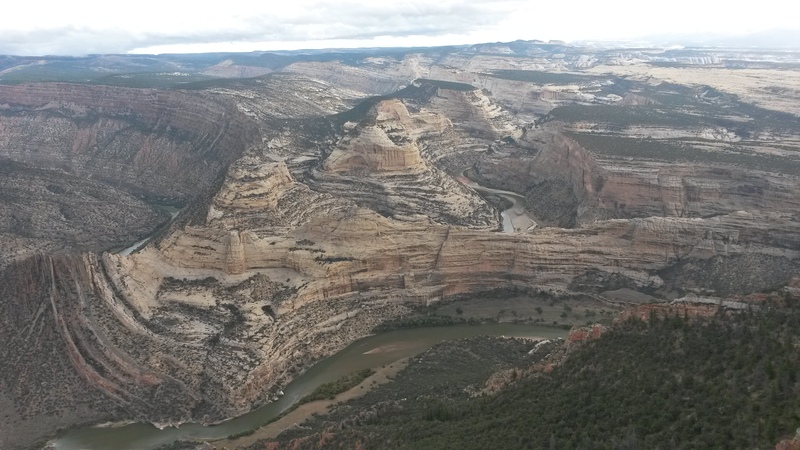 The Yampa and Green Rivers confluence was jaw-dropping beautiful. I’m sure on a sunny day the colors are just incredible in pictures, but for us it was clear to see even with the clouds. 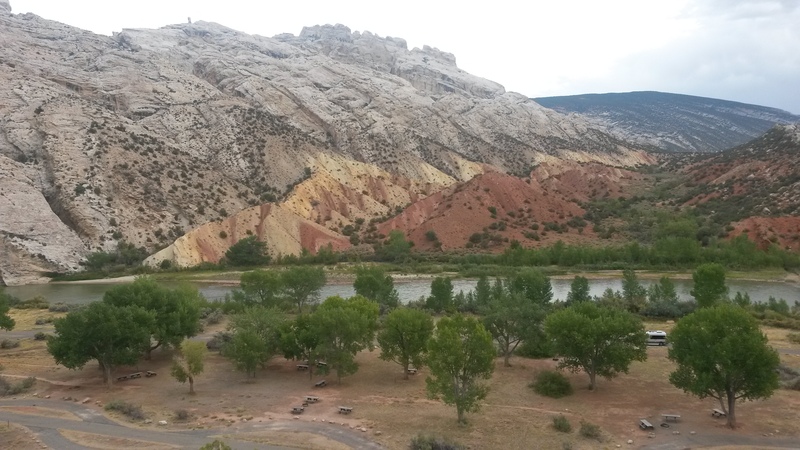 This is where the Yampa comes in from the center and the Green comes in from the left. This is where the Green goes out to the west. There are some boats of a river trip near the last bend of the river. 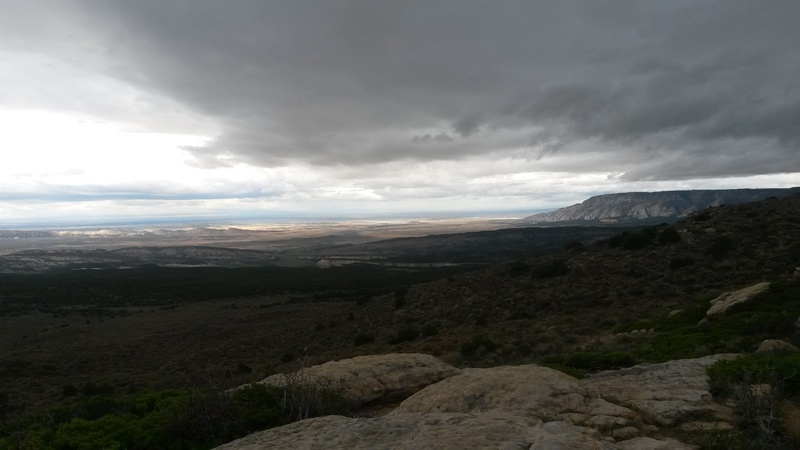 There is a campground at the confluence and a dirt road that run out of the park to the east that we were advised not to take due to the rain. The mud in this area turns the roads into a surface as slick as ice and impassible even with four-wheel drive. A ranger we talked to after we left the park told us of a time he could not even get his dirt bike out after a rain due to the slick road. If we didn’t have an appointment in Dacono on Thursday that we had to keep we would have gone down. There are much worse places in the world to be stuck, like Philly – lol. 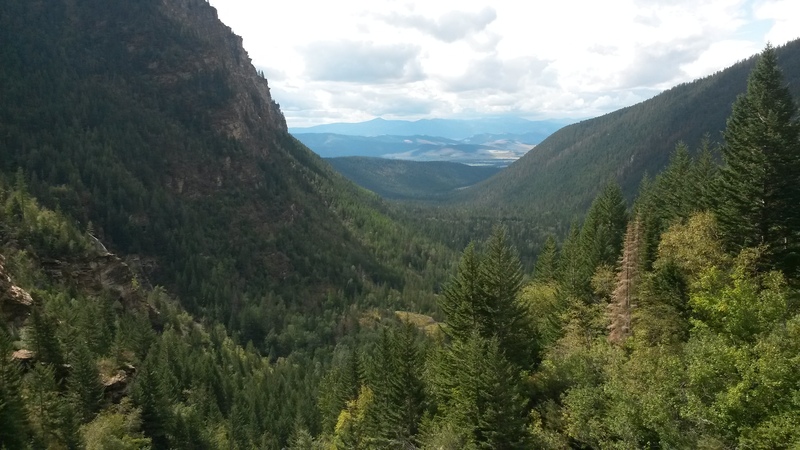 We’ll definitely be back to travel that stretch of road and camp down at the confluence.